Call it the American Idolization of food television. Cooking competition shows a là the music industry’s mega-hyped, mega-successful talent showcase have proliferated in the last several years, to the point of absurdity (Cupcake Wars, anyone?). Networks have discovered that, like American Idol and its imitators like The Voice and Duets, such shows cook up booming business. But something crucial is lost in the race for ratings. The Food Network used to thrive on the standard celebrity chef cooking instruction shows like Everyday Italian with the glamorous Giada DeLaurentiis, Paula’s Home Cooking with downhome Paula Deen, Thirty Minute Meals with superstar Rachael Ray, and Barefoot Contessa with Ina Garten, who disappointingly is not actually a barefoot contessa. 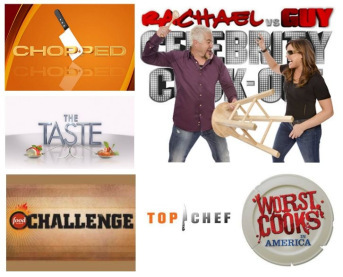 Those shows, or variations thereof featuring the same hosts, still anchor the network’s weekday schedule, but its prime time lineup now is given over almost entirely to cooking competitions. Here’s a list just off the top of my head: Top Chef, Top Chef: Just Desserts, Iron Chef, Iron Chef America, Next Iron Chef, Next Food Network Star, Throwdown, Chopped, Cupcake Wars, Dinner: Impossible, The Taste, Rachel vs. Guy Celebrity Cook-off, Bobby’s Dinner Battle, Food Network Challenge, Halloween Wars, Last Cake Standing, Food Feuds, Food Fights, Ready…Set…Cook!, Sweet Genius, Ultimate Recipe Showdown, Worst Cooks in America, Chef Wanted, Chefs vs. City, Next Great Baker – but you get the idea. 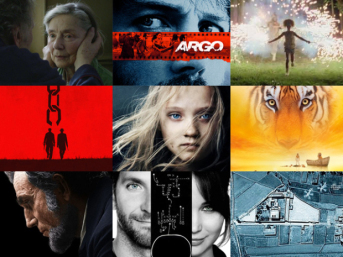 What Will Win the Best Picture Oscar – And What Should? 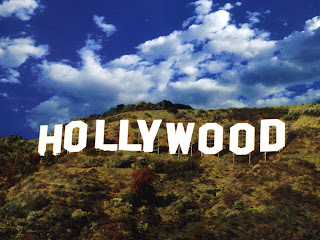 As the 2013 Oscar telecast approaches this coming Sunday, keep this in mind when trying your hand at predictions: Hollywood is like high school with money, as someone once famously remarked, and the Oscars are like a glitzier high school popularity contest. The film which takes Best Picture isn’t necessarily the most artful and profound, but is sometimes the one by a filmmaker that Hollywood voters simply want to reward as one of their in-crowd’s own. With that in mind, most of the nine films from the Best Picture slate can immediately be stricken from consideration: the foreign film Amour, because it’s foreign; the controversial Zero Dark Thirty, because it has drawn very vocal disapproval from some in Hollywood with its suggestion that waterboarding might have led us to bin Laden; the magical Beasts of the Southern Wild and the fantastical Life of Pi, because they’re a bit too artsy; and Quentin Tarantino’s kill-fest Django Unchained, because it doesn’t suit Hollywood’s newly acquired sensitivity to gun violence. Of the other contenders, Silver Linings Playbook features Hollywood’s two hottest stars at present – Bradley Cooper and Jennifer Lawrence, both of whom are up for Oscars, as is its director David O. Russell. But as a quirky relationship dramedy, it lacks a big enough canvas for an Oscar. On the other hand, the epic Les Miserables has a sweeping canvas but is a musical, and only one other musical (Chicago, 2002) has won Best Picture in the past 45 years. In her Wall Street Journal piece “Where Have All the Good Men Gone?” and her new book Manning Up: How the Rise of Women Has Turned Men Into Boys, Kay Hymowitz gives voice to the complaint from “legions of frustrated young women” that today’s twenty-something men wallow in a sort of limbo of extended adolescence she calls “pre-adulthood.” She claims that guys (as distinct from “men”) in this state are clinging to adolescence while their female counterparts are achieving professional success and looking – in vain – for a comparably mature mate with whom to build a life. This is a complaint that goes back at least as far as the 1983 pop psych book The Peter Pan Syndrome: Men Who Have Never Grown Up, and is largely the result of the massive impact feminism has had – and continues to have – on relationships between American men and women (I say “American” because in my personal experience, which is admittedly not scientifically validated, neither feminism nor the Peter Pan syndrome are problematic relationship issues elsewhere in the world anywhere near like they are in this country – but that’s a topic for another time). When I was young, one of the overarching dreads of our society was the imminent “population explosion” – the threat of humanity outstripping its planetary space and resources, a fear generated largely by Paul Erhlich’s seminal 1968 book The Population Bomb. Like global warming, we simply accepted Erhlich’s doomsday scenario as inevitable fact. 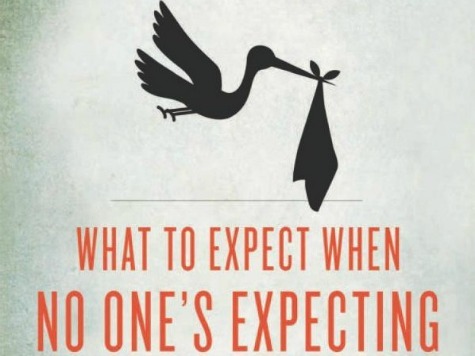 But Jonathan Last, in his new book What to Expect When No One’s Expecting, claims that not only did the population bomb never explode, the world’s population will soon begin shrinking. The greatest threat to American life isn’t terrorism, he asserts, or China, or the crushing debt – it is our collective reluctance to have more children. Last is a senior writer at the Weekly Standard. His work has been featured in the Wall Street Journal, Los Angeles Times, Washington Post, Salon, Slate, and many other publications. He is a regular commentator in the media and has appeared on ABC, CNN, Fox News, NPR and elsewhere. In his compelling short new book, Last explains why the population implosion happened and how it is remaking culture, the economy, and politics both at home and around the world. Mark Tapson: Mr. Last, the subtitle of your book is “America’s Coming Demographic Disaster” – exactly what disaster are we facing? A spate of recent incidents in which schoolchildren were punished for unconscionable gun crimes triggering the hysteria of politically correct school officials highlights the left’s increasing insanity about guns. A five-year-old girl from Pennsylvania was suspended from school last month after telling a friend she was going to shoot her with a pink toy gun that sprays hollow-point bullets bubbles. 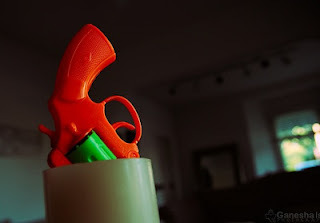 Despite not even having the bubble gun with her at the time of the shockingly dire threat, the kindergartener was later interrogated by school officials without her parents present. She was ultimately – are you sitting down for this? – labeled a “terrorist threat,” suspended for ten days, and required to undergo psychiatric evaluation. At about the same time, a school in Maryland suspended two six-year-olds for making a gun gesture with their hands while playing cops-and-robbers during recess. Two weeks before that, another six-year-old was suspended for the same terrorist offense. This idiocy is reminiscent of an incident last year in which a deaf three-year-old was informed by school district officials that the signing he uses for his name too closely resembles him waving a gun. So now he is required to spell out his name letter by letter instead. That’ll teach him. The insanity continues. Now a seven-year-old Colorado boy has been suspended for throwing a pretend grenade at a pretend box full of “evil forces” while playing “rescue the world” at recess. Again, that’s a pretend grenade he lobbed at a pretend box of evil (good thing he didn’t refer to it as an “axis of evil,” or the officials might have tarred and feathered the kid and run him and his Bush-loving parents out of town). 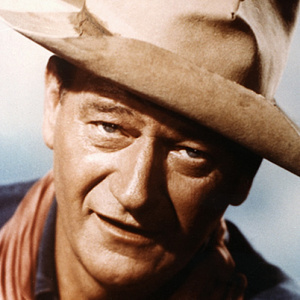 His school maintains a list of “absolutes,” no-nos designed to keep the schoolgrounds safe, which includes “no fighting, real or imaginary; no weapons, real or imaginary.” Because it isn’t enough to ban students from playing with real weapons; it must be verboten even to think about them, even when combating evil. As my friend the late, great Andrew Breitbart was fond of pointing out, politics flows downstream from culture, and the results of the last election confirm that. Conservatives lost last November in the political arena because for decades the radical left laid the groundwork for it in the cultural arena. Politics is obviously a critical battleground, but unless and until we start thinking in terms of waging a vigorous cultural campaign, we will never win another presidential election. Following is a rough beginning of some thoughts toward that end. There is no way the radical and insubstantial Barack Obama would ever have been taken seriously as a presidential candidate, much less be elected to two terms in the White House, if the left had not successfully infiltrated the key cultural realms – education, news media, and entertainment – and spent decades indoctrinating generations to reject traditional American values, feel shame rather than pride in our country’s history, and embrace their own enslavement to a big government, post-American, cancerous ideology rebranded as progressivism. That indoctrination runs so deep in too many American hearts and minds that not even the reality of four disastrous years under Obama was enough to shock them out of their irrational addiction to his hope-and-change snake oil. Deprogramming that indoctrination and seducing subsequent generations to a renewed vision of American exceptionalism means retaking the culture or creating a parallel one. Kirsten Powers: The Last Liberal? Last week Kirsten Powers, one of the more visible Democratic contributors to Fox News, wrote a lengthy piece for that organization’s website called “Obama vs. Fox News –behind the White House strategy to delegitimize a news organization.” In it she rather shockingly set herself apart from her more radical cohorts on the left by demonstrating a willingness to denounce them for their demonization of Fox and their assault on freedom of the press. She may be one of the last pundits on the left to adhere, at least in this instance, to classical liberal values. Powers recounts some of the more recent instances of that campaign. For example, the White House excluded Fox News from conference calls dealing with the Benghazi debacle, “despite Fox News being the only outlet that was regularly reporting on it and despite Fox having top notch foreign policy reporters.” Actually, Fox was frozen out not so much despite its topnotch focus on Benghazi as because of it, since Obama and Hilary Clinton would like to bury the controversy. The fact that Powers openly acknowledged Fox’s investigative quality rather than simply accusing the network of harassing the President over an issue that “doesn’t make a difference,” to paraphrase Clinton, is unheard of from the left. 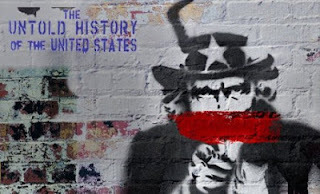 In the final episode of director Oliver Stone’s Showtime documentary miniseries entitled The Untold History of the United States, he and co-writer Peter Kuznick take aim at “Bush and Obama: Age of Terror.” It is everything you would expect from their America-hating collaboration. Narrating in a creepily sibilant cadence like a woozy William Shatner, Stone immediately sets the stage in this episode with quotes about our “fear” and paranoia of a Muslim enemy – as if many years of accelerated Islamic attacks on America and American interests, including the World Trade Center horror (about which Stone himself made a feature film starring Nicolas Cage), were nothing more than figments of a fevered national imagination; for Stone and the left in general, the CIA are the real bad guys, of course. He paints a picture of a George W. Bush administration that didn’t want to let the 9/11 crisis go to waste, and so “leapt into action” to undertake a “global war.” Stone glosses over the fact that going to war against stateless Islamic fundamentalists was necessarily a worldwide venture not limited to bin Laden and his al Qaeda core. True to his Hollywood roots, Stone dramatizes what he deems to be Bush’s excessive national security measures with, hilariously, footage from Showtime’s terrorism drama Homeland, showing a scene in which a character’s home is being bugged and monitored by the CIA – a character who is in fact a terrorist. Stone then goes on to use dramatized torture footage from several films, from The Battle of Algiers (1966) to Robert DeNiro’s The Good Shepherd to the anti-extraordinary rendition film called, well, Rendition. Along the way he sideswipes the Somalia military action drama Black Hawk Down for “glorifying American heroism and technology” – yes, heaven forbid that Hollywood should ever glorify American heroism and technology. “The Americans” – Rooting for the KGB? Last week a Cold War spy thriller with a twist debuted on the FX television network. The twist is that the bad guys – the Soviets – are the stars, and that the show’s producers are hoping to get American audiences to root for the KGB. But if that’s their aim, they failed miserably in the season premiere; the real twist is that The Americans turns out to be refreshingly pro-American entertainment. 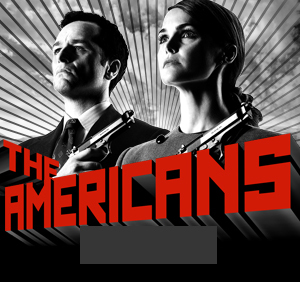 The Americans is a gripping, action-filled drama about two Soviet spies living undercover as a normal American couple in 1981 Washington, D.C. Their two children, oblivious to their parents’ true identities, are being raised as typical American kids. In between getting the kids off to school and taking them out for ice cream, the husband and wife discuss things like when to kill the defector bound and gagged in their garage, or whether the FBI agent who just moved in across the street is on to them. The other night my two-year-old daughter insisted that I read the classic children’s bedtime story Goodnight Moon to her before bed – five times in a row. Considering how many times I’ve been tempted to read my rowdy child the modern bedtime parody for adults called Go the F__ to Sleep, I was happy to oblige. Written by Margaret Wise Brown and illustrated by Clement Hurd, Goodnight Moon was published in 1947 and slowly became a bestseller, until by 2007 the number of copies sold topped 16 million. That same year the National Education Association named it one of its “Teachers' Top 100 Books for Children.” It was named one of the “Top 100 Picture Books” of all time in a 2012 poll by School Library Journal.